Educate and engage your workforce on current topics in health and wellness. Mercer’s team of expert consultants can help you to de-mystify the Affordable Care Act (ACA), educate your employees to get the most value from your Health Savings Account (HSA) plan and inform your employees so that they understand their health numbers and take control of their health. Mercer has created a library of Educational Videos designed to engage your workforce. Current topics are relevant to enrollment and will help your employees better understand health and wellness issues. 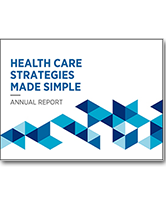 The Health Strategy Report helps you manage cost, improve health, engage everyone and comply with ACA. The report also helps you translate the analytics that inform your health care strategy into a concise, graphically compelling business case for leaders and employees. Mercer Mobile Companions are custom solutions. Pricing varies by employee population size. You can click the demo links below to see how they work. 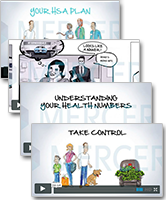 Mercer Widgets help equip employees to take informed, positive action. Self-contained web features, available as Flash files and as HTML, are ready to be installed on your intranet server and linked for your employees to use. Mercer has created a library of videos designed to engage your workforce. Clearly and powerfully communicate health and wellness strategies throughout the organization. Bring the best of your HR portal right to your employees' mobile devices. 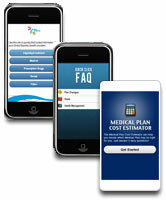 Mini apps designed to educate your employees on money, health, career, and work/life.